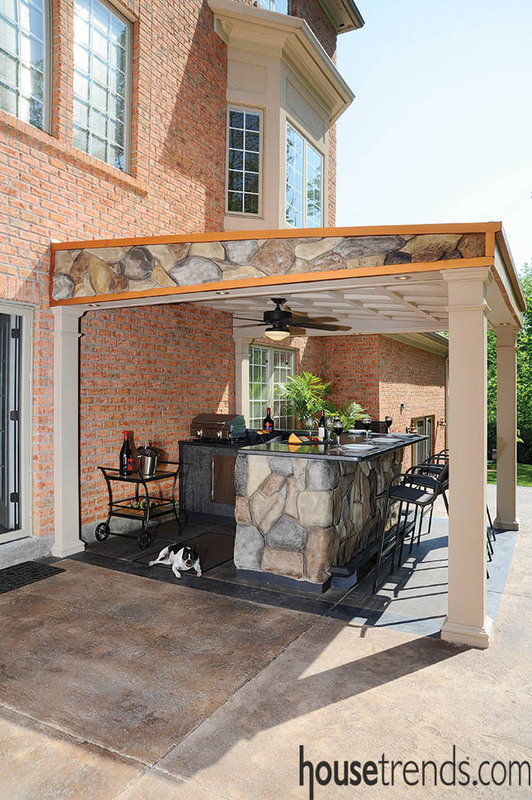 As more and more of us take the entertaining outside, we are getting creative with our living spaces such as pergolas, patios, porches and pavilions. 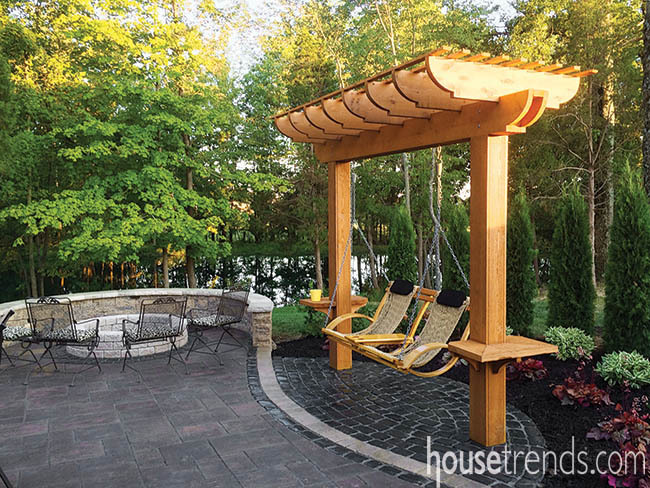 Whether you want a clever way to hang a swing, a bit of shade, or an attached living space that houses an outdoor kitchen and lounging area, you’re sure to see something you’ll love among our favorite picks! 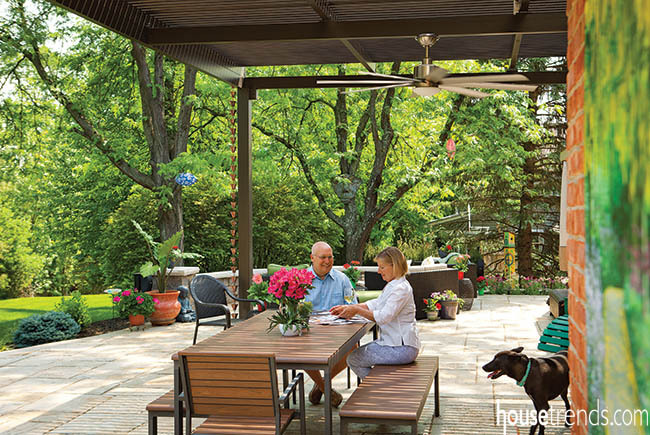 A remote-controlled, louvered roof system on this outdoor living space allows homeowners Todd Hale and Connie Shaw, (shown with their dog Luna) to control the amount of sunlight coming in. This feature can also be programmed to work with a home automation system. 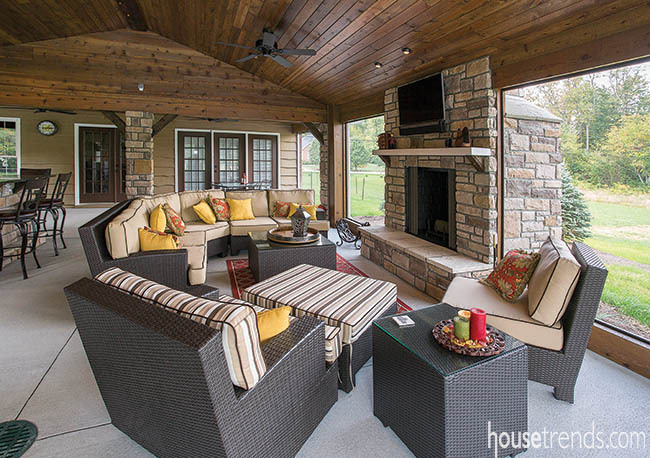 There’s nothing else to want in this incredibly spacious outdoor porch space built for a 2014 Homearama® home. 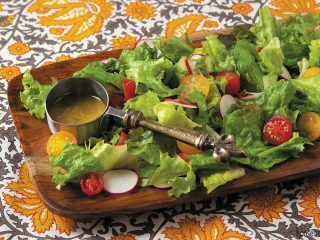 Architect: Norris & Dierkers Architects/Planners, Inc. 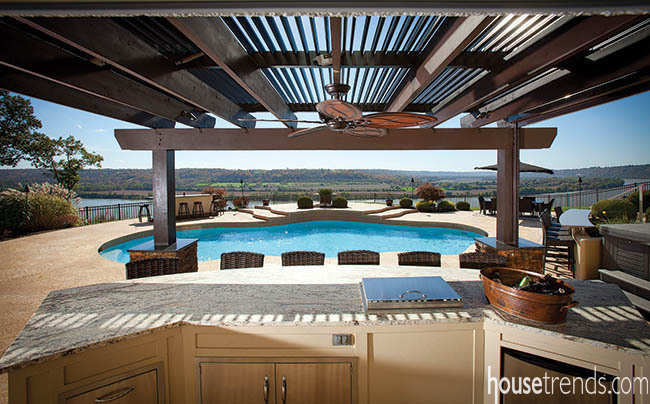 Guests enjoying this outdoor living space, complete with outdoor kitchen, enjoy a shady perch underneath this patio cover to watch activity in the pool or in the Ohio River, seen in the distance. 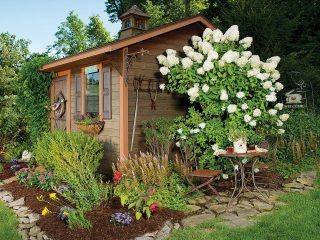 The timber style of a Tudor home is carried through to the 550-square-foot covered outdoor porch, creating a cozy deck design the whole family can enjoy. 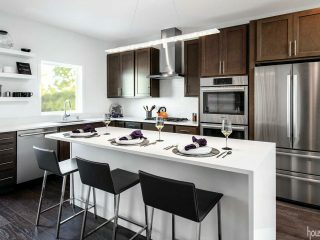 Contractor: The Howland Group, LLC. 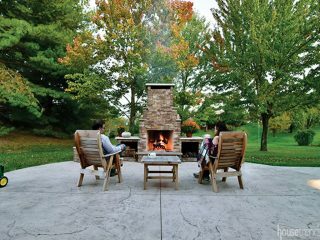 An expansive open-air patio is a favorite spot for this family to gather on spring, summer, fall, or even winter days. 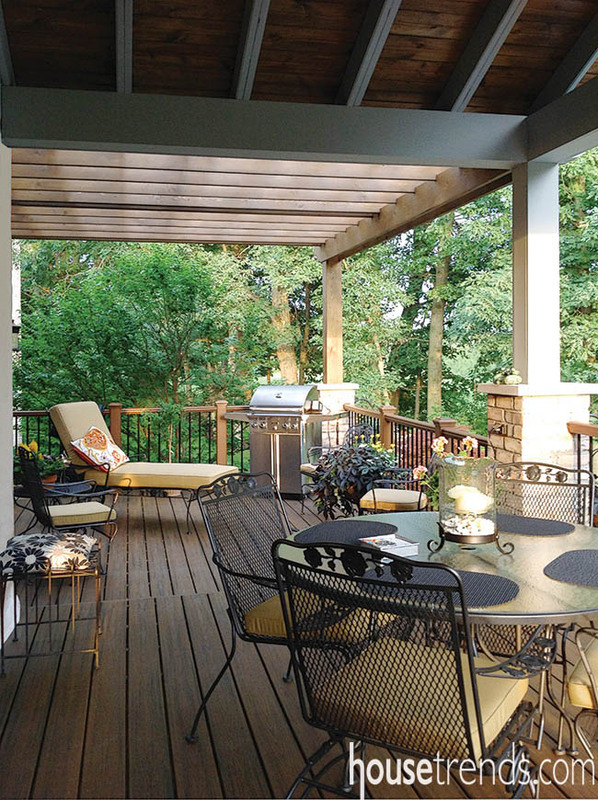 A tired deck was removed from this Cincinnati home and replaced with this inviting three-season screened-in porch. 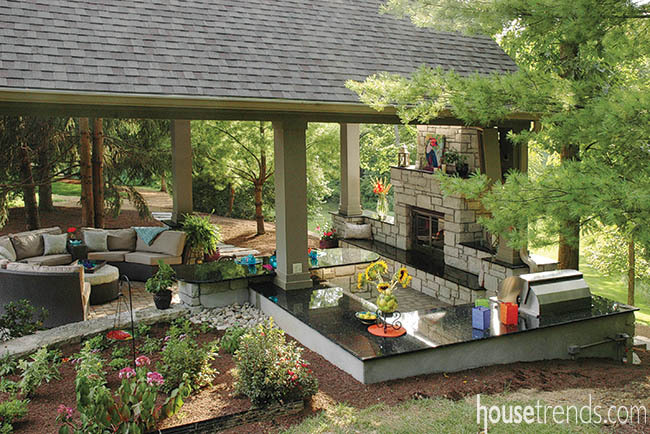 It’s hard to beat this pavilion for an inviting outdoor space to get away from the heat. 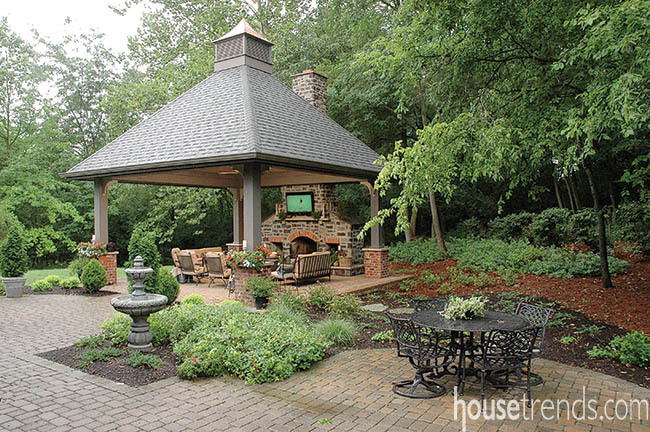 This six-sided stone gazebo comes complete with a gourmet outdoor kitchen, fireplace, television and lounging area. 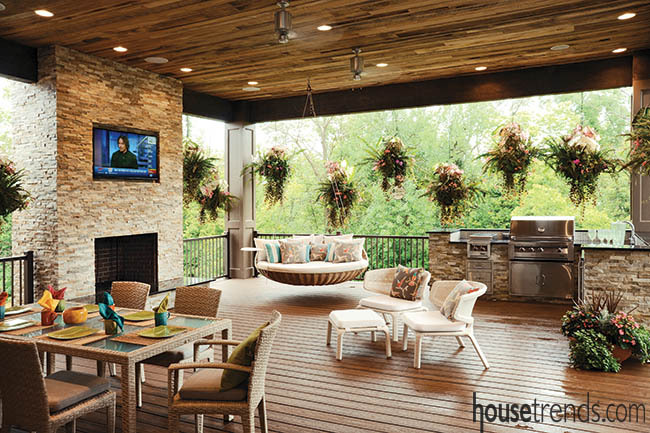 Separate from the main house, this outdoor pavilion space feels like a private retreat in the woods. 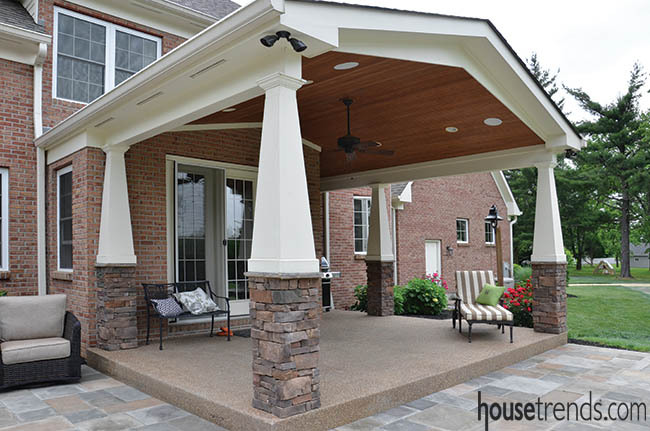 Craftsman-style stacked stone columns show strong support for this handsome covered patio in Cincinnati. 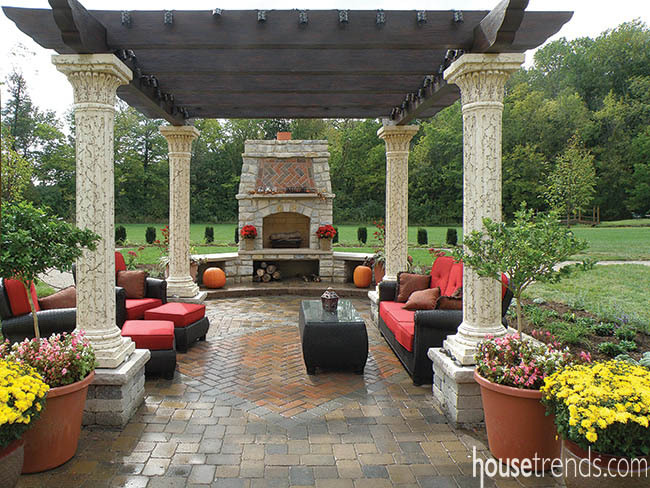 This elegant pergola uses all of the elements typically found in the classic style. 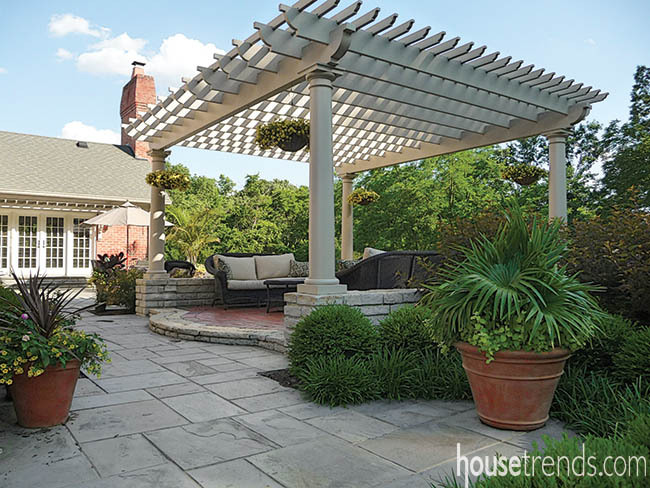 Design: Architectural Landscape Design, Inc.
Landscaping: Jamie Fox Landscaping, Inc.
A pergola-covered walkway connects the main residence to the newly-constructed carriage house behind this home. 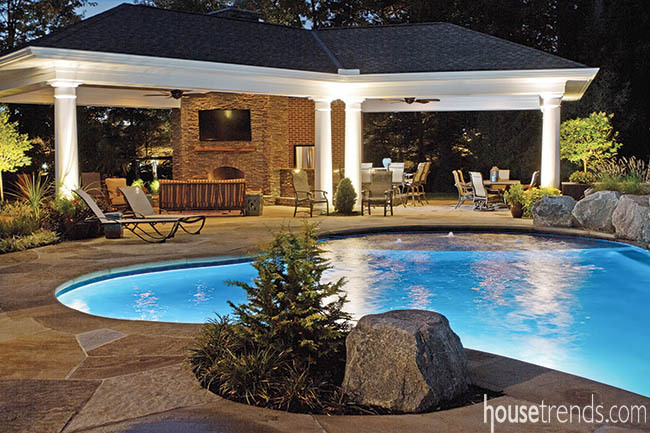 In Northern Kentucky, this Lakeside Park pavilion-style pool house dominates an exciting back yard. 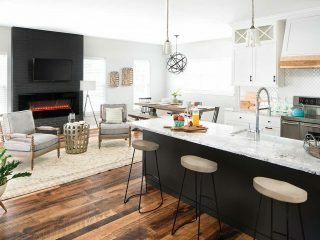 It shades a large outdoor dining space, a bar area and an seating area complete with a large screen television and fireplace. 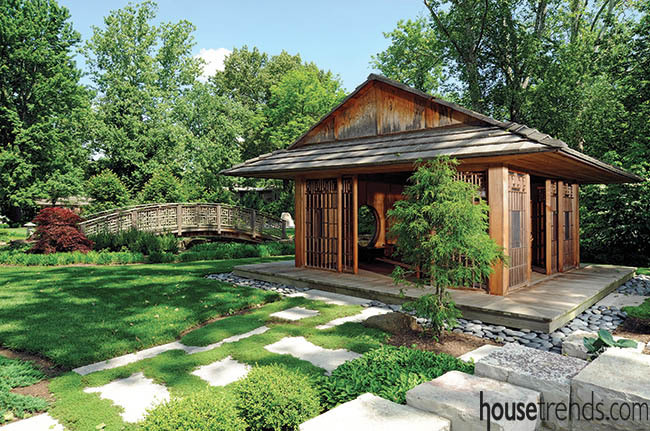 A pavilion keeps with the Japanese-inspired theme in this garden. 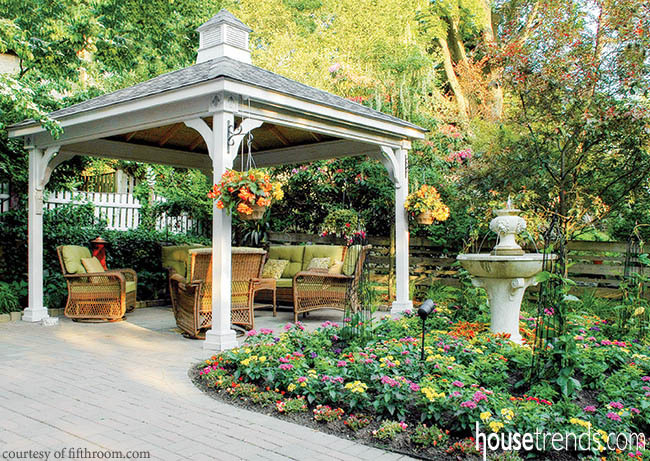 A petite pergola, with a swing for two, is all the invitation you need to spend a quite evening under the stars. 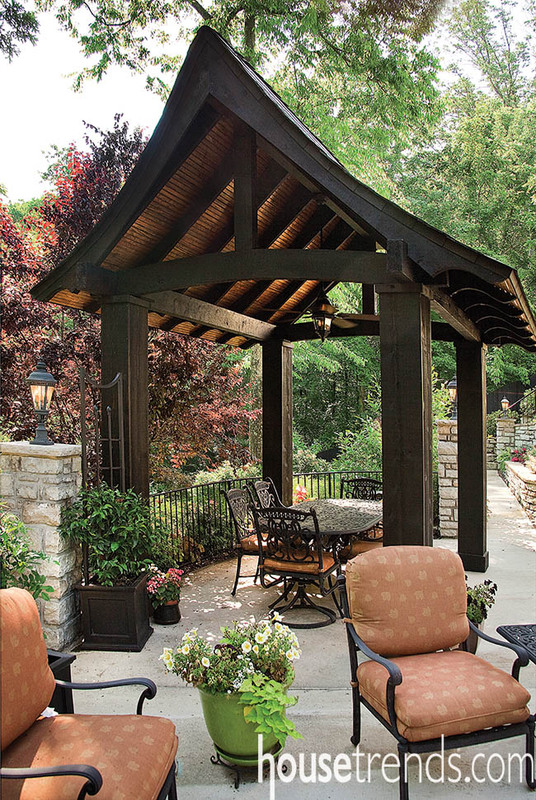 Surrounded by trees, both new and mature, this Cincinnati pergola provides a tranquil setting for family relaxation. 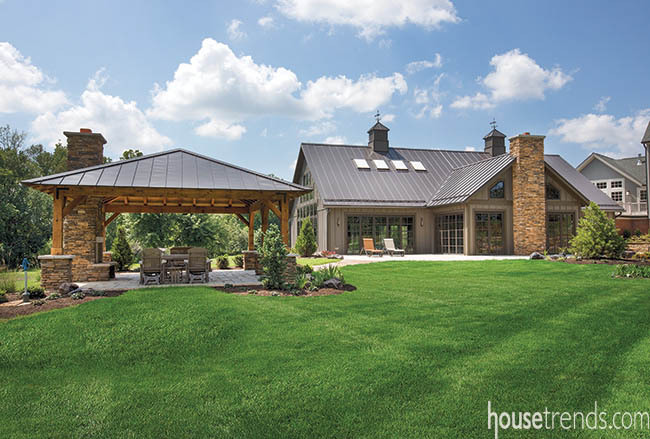 This outdoor pavilion features a louvered roof that offers sun when you want it and shade when you need to be protected from the elements but still want to enjoy the great outdoors. 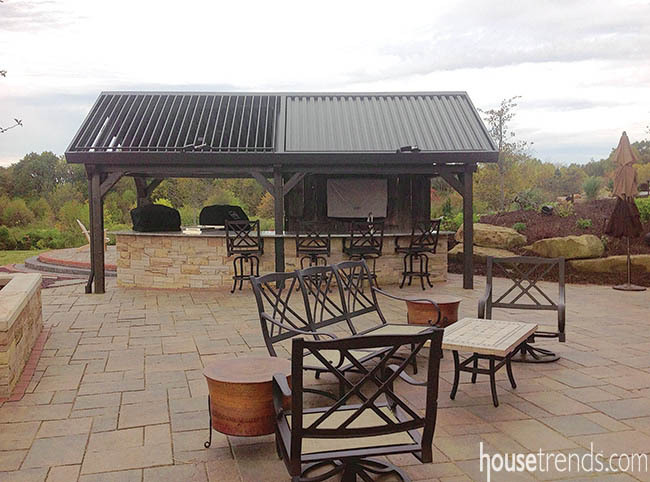 Contractor: Adjustable Patio Covers-NE, LLC. 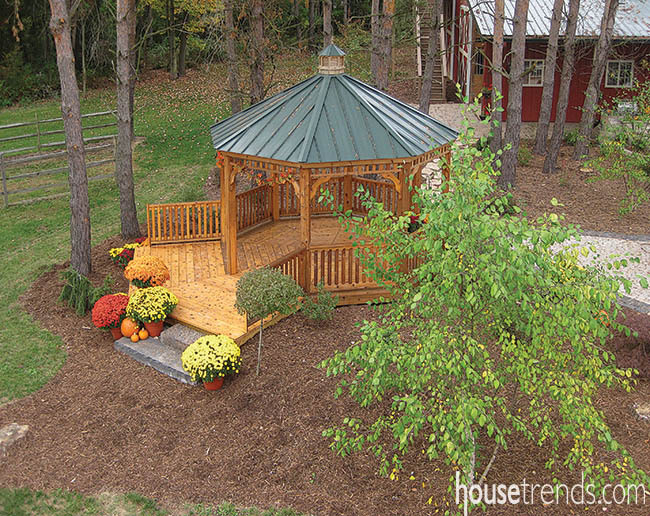 The natural beauty of this gazebo looks right at home in the bucolic setting. 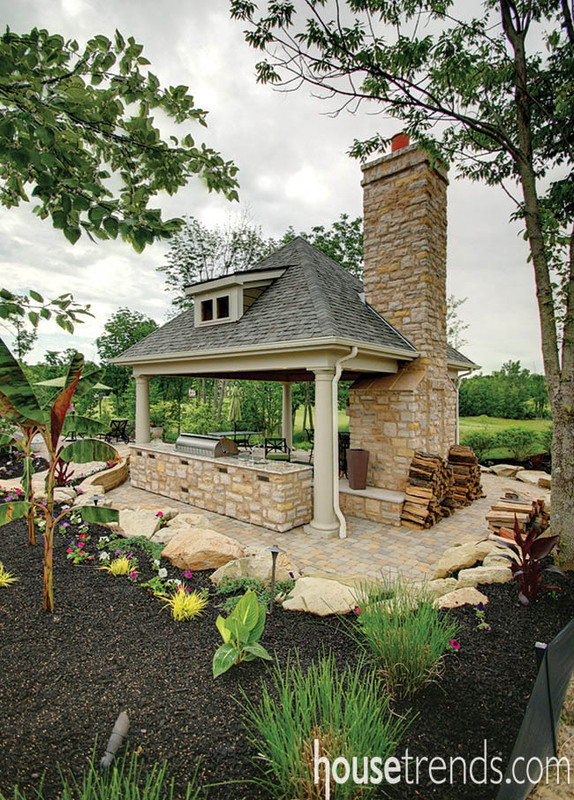 Designer and landscaping: Hap Evans, Allgreen, Inc.
Lush landscaping, colorful hanging planters and a soothing fountain establish the elegant natural setting around this pavilion. 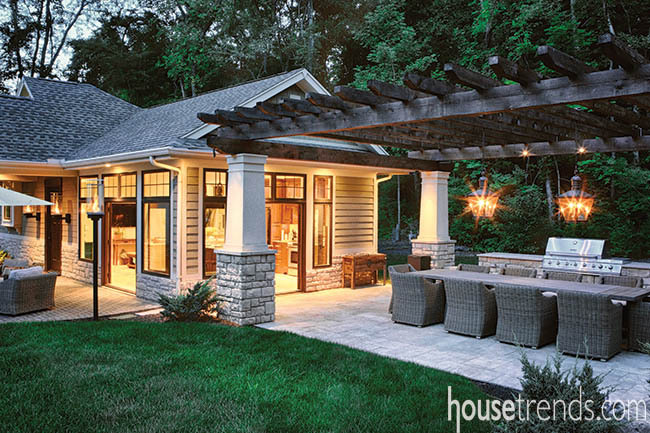 A pergola offers dappled sunlight to filter onto this cozy private living space. 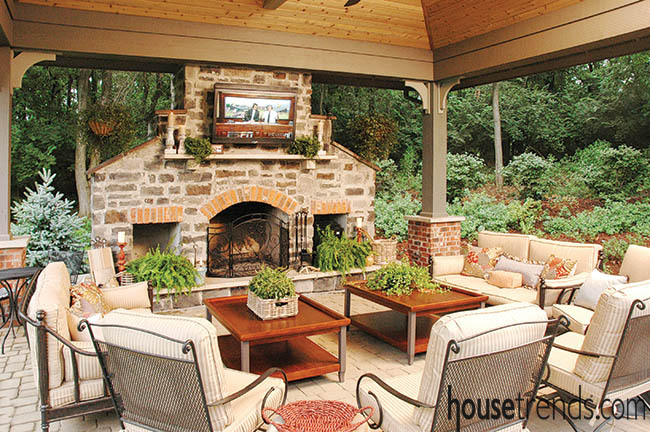 A beautiful stone fireplace and comfortable seating serve as the anchors under this impressive covered outdoor patio. Metal, wood and stone meet in this expansive pavillion. 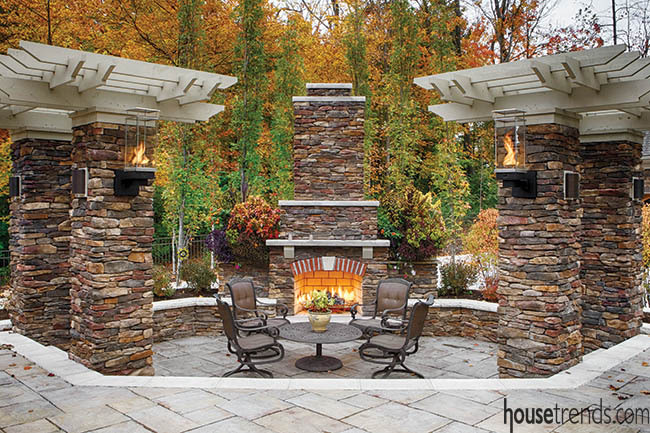 A fireplace is the focal point for lounging along with an outdoor kitchen with covered seating. This covered area, complete with a fireplace, provides ample room for relaxation after taking a swim in the indoor pool just feet away. A Japanese garden with a ceremonial tea house alongside an arched bridge, adds a nearly mystical quality to this peaceful setting. 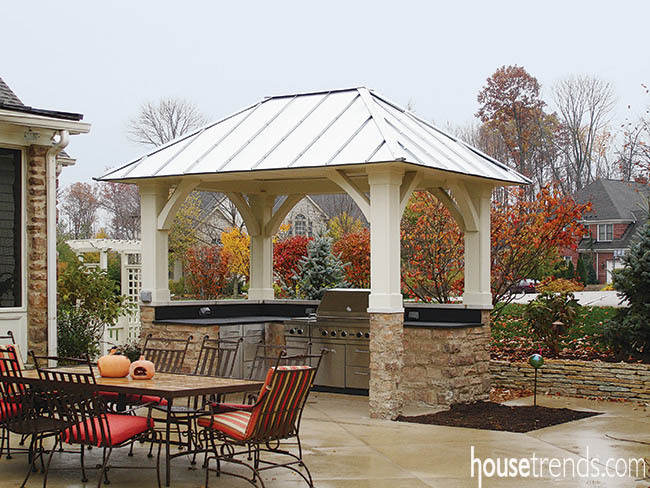 A well-equipped outdoor kitchen sports a stylish cover complete with a metal roof that adds audio ambiance on a rainy day. 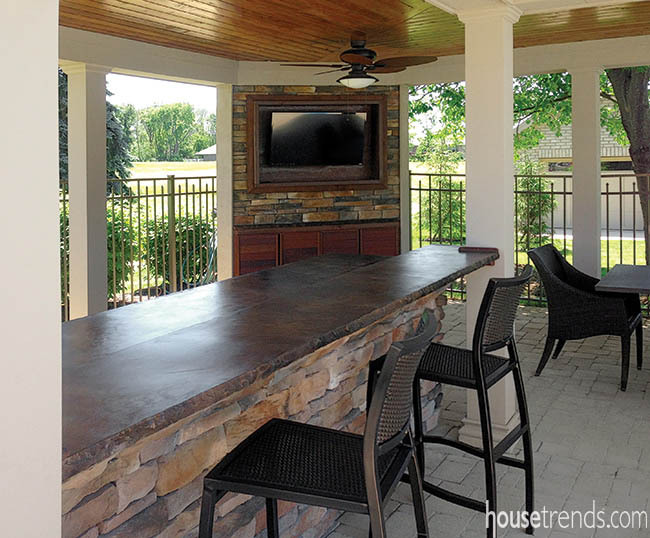 This outdoor bar and kitchen area provides the perfect shaded spot to have a snack and take a break from the action in a nearby pool. 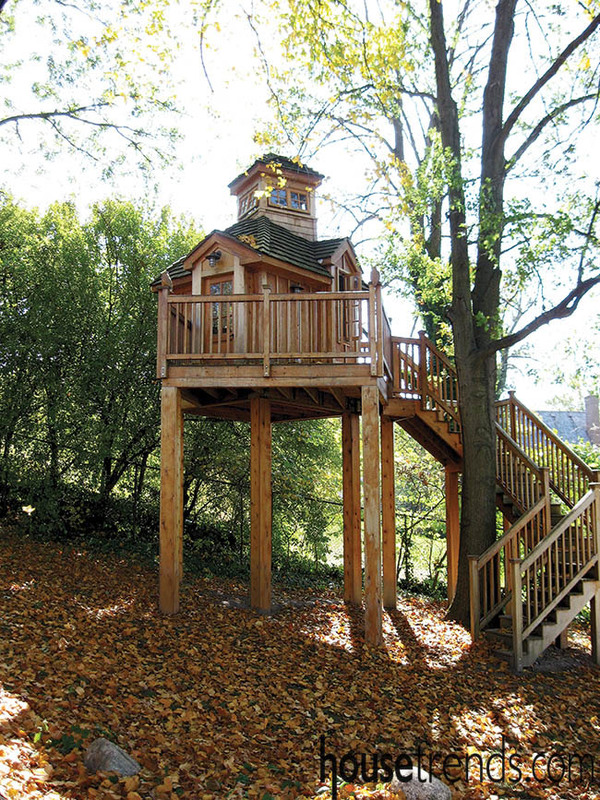 Even though it was designed with children in mind, this treehouse pays respect to Mother Nature too by protecting the natural elements surrounding the structure. 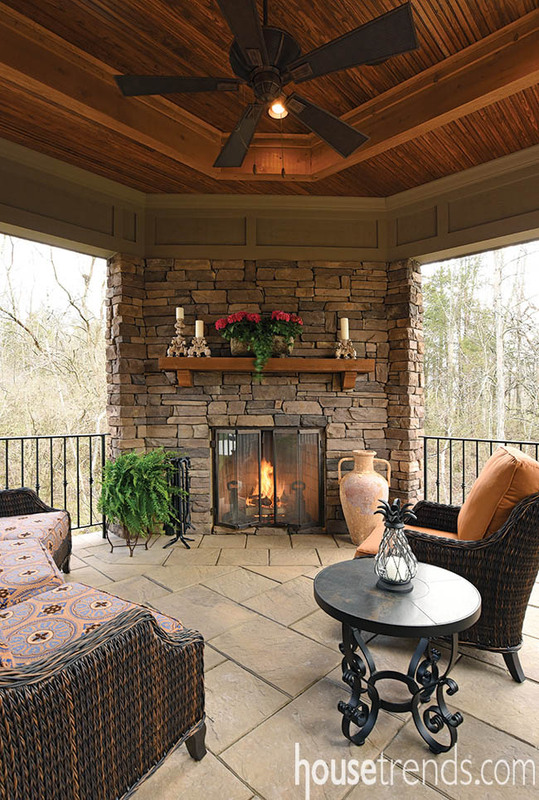 A wood-burning fireplace with its soaring stone chimney provides a visual anchor for this spacious outdoor entertaining area. Visitors to an artists’ retreat were housed in these charming free-standing Waldenesque cabins. 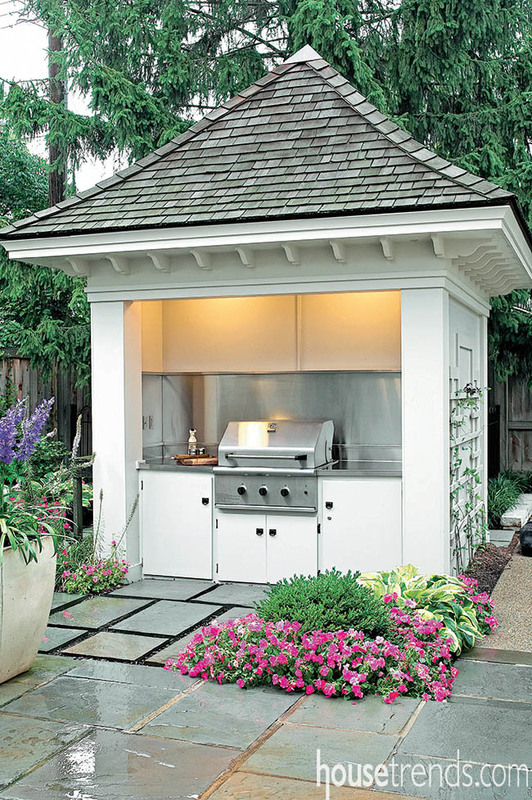 A seemingly simple structure turns a home for outdoor grilling equipment and storage space into a charming focal point for this Columbus residence. 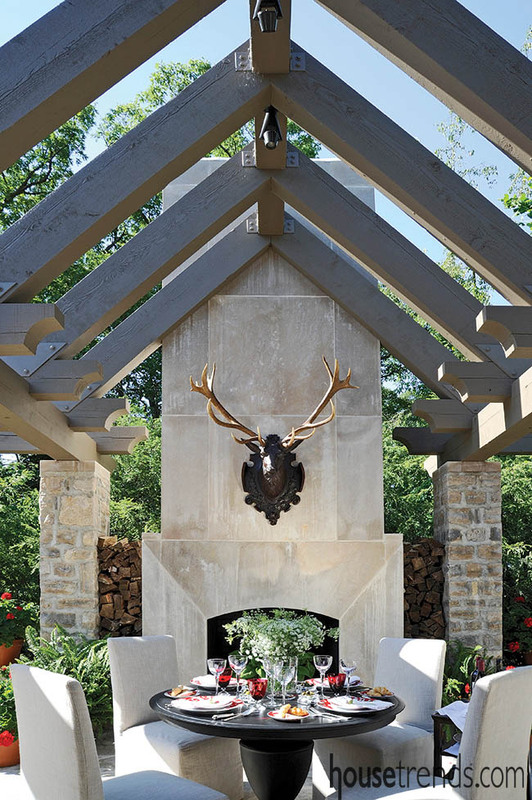 Rough-sawn cedar beams arch dramatically over this terrace, which includes a striking limestone fireplace, to create an enchanting outdoor dining area. 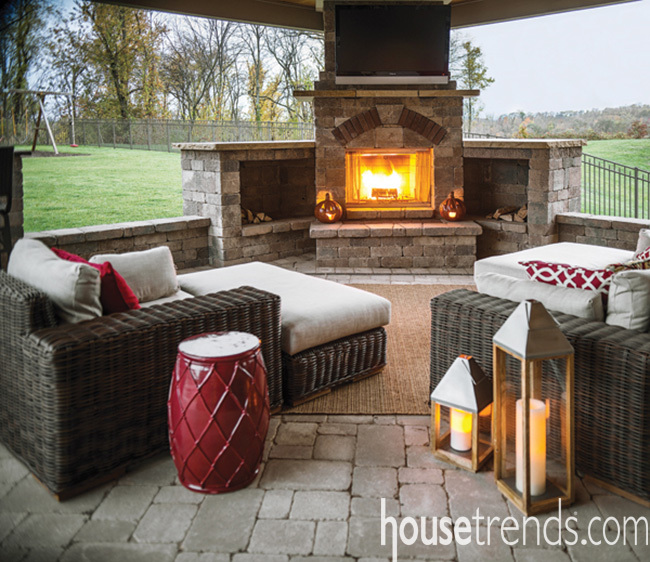 An open-air family room with a fireplace as its focal point adds the final dramatic touch to this back yard, which includes a pool, waterfalls, fountains and a fire bowl. 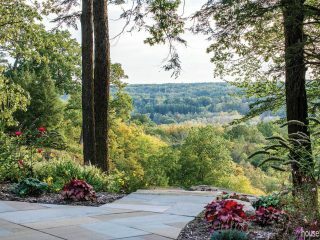 Design: Wood Landscape Services, Ltd. 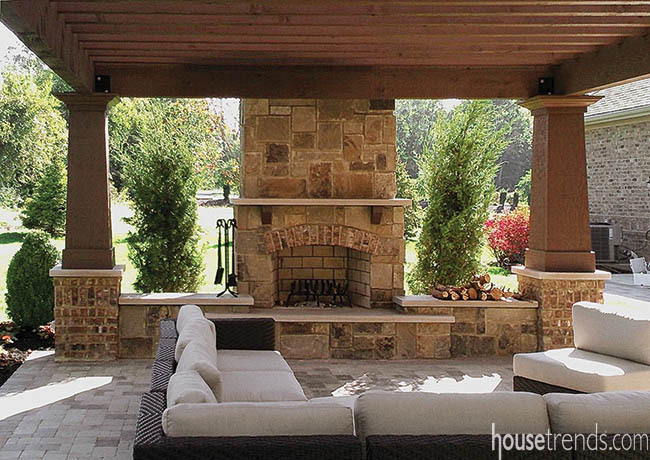 In Dayton, a pair of pergolas resting atop massive stone pillars flanks the seating area and fireplace, establishing a true outdoor room. 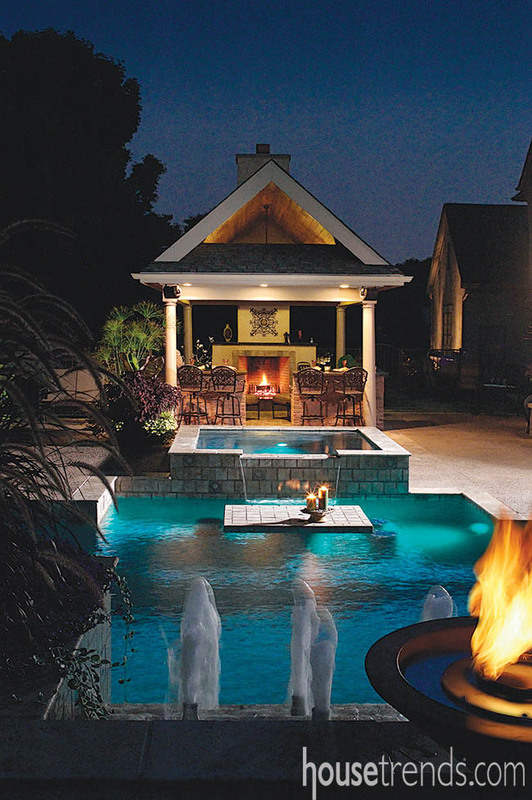 The pergola sitting at the head of the pool creates an eye-catching focal point without blocking the view of the lower patio and fire pit behind this home. 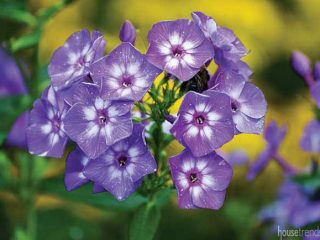 Landscape architect: Jim Teske, Woodbourne Landscape Architects, Inc. 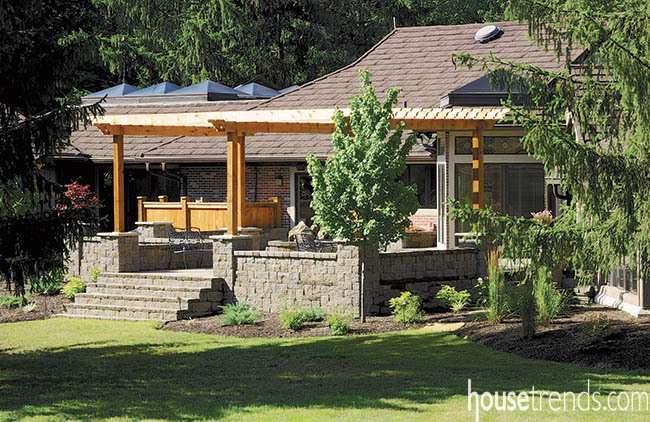 Custom-made concrete columns hold up the Western Red Cedar timbers of the pergola in this outdoor space. 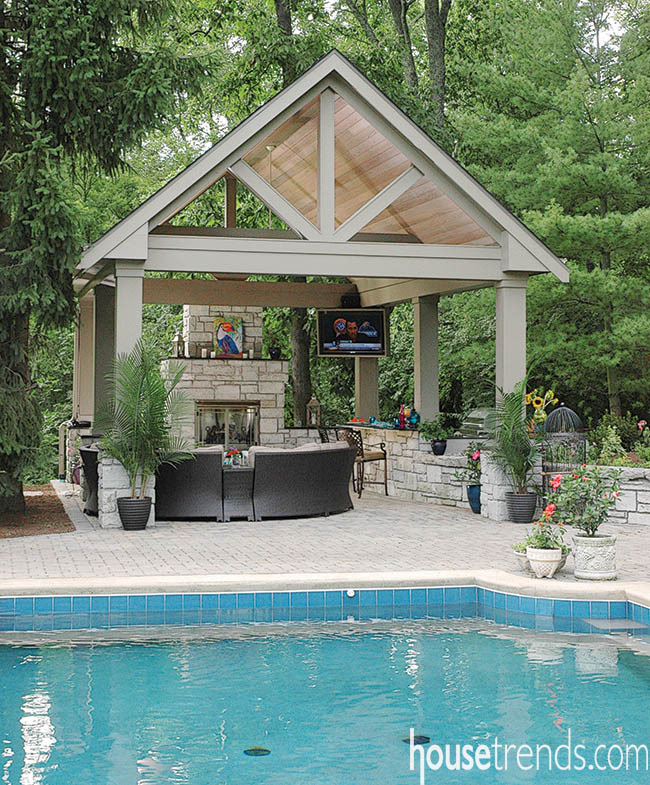 This backyard pavilion offers all the comforts of home—a kitchen, dining table, seating area and plenty of flat screen televisions to watch your favorite sports team. 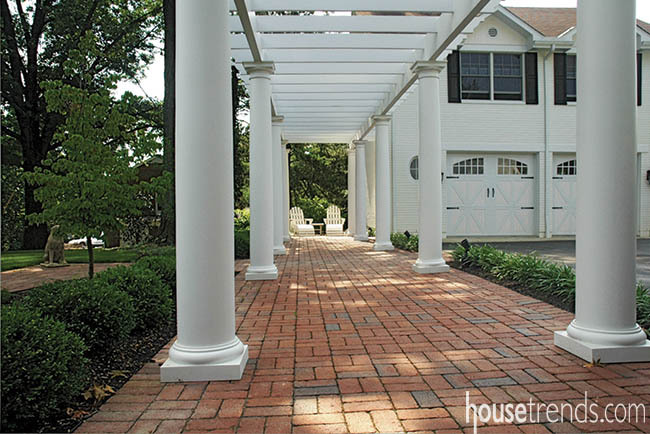 Pavilion materials: Fiberglass columns; Pine tongue and groove ceiling with asphalt shingles. 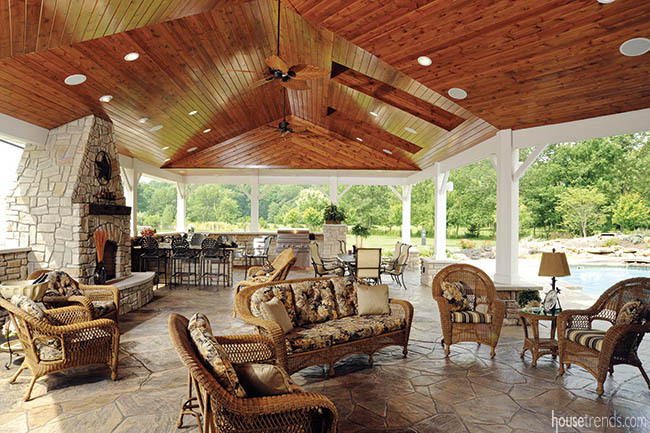 An expansive pergola offers respite from the hot sun in the summer and warmth on a cool evening thanks to the stone fireplace. 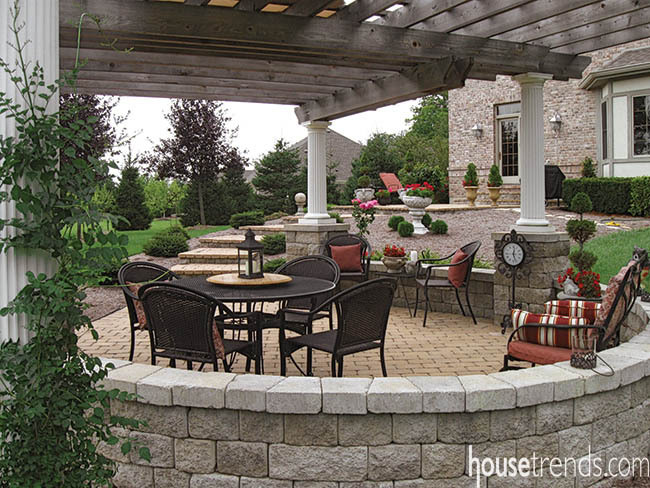 This pergola and accompanying stone landscaping wall helps to establish a formal outdoor space in this Dayton back yard. 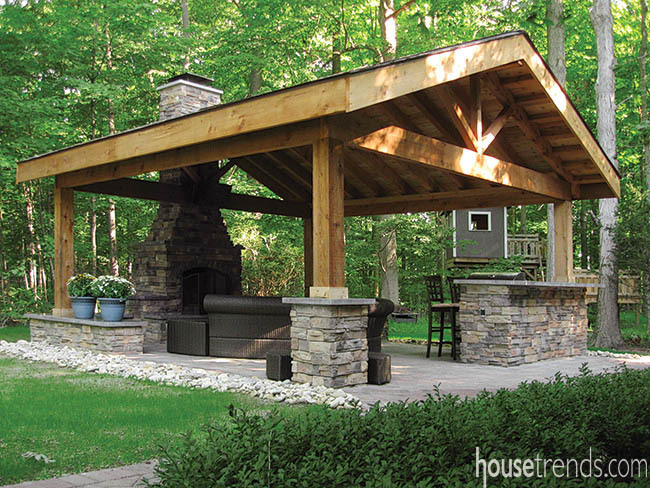 The rustic cedar pavilion looks right at home tucked into the woods. 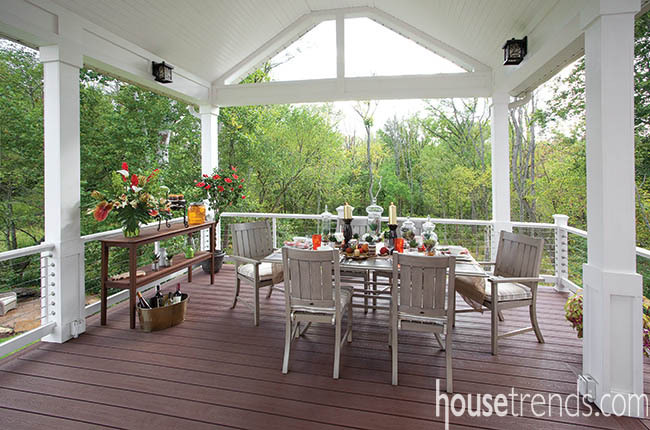 This cozy covered porch includes an inviting wood burning fireplace and private views of the wooded back yard. 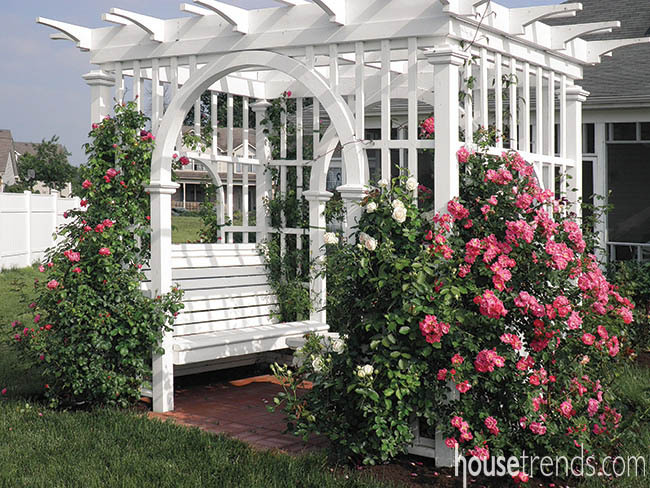 Builder: Jenny Diorio, R.L Diorio Custom Homes Inc.
Fragrant and colorful roses pack a colorful punch around this quaint pergola. 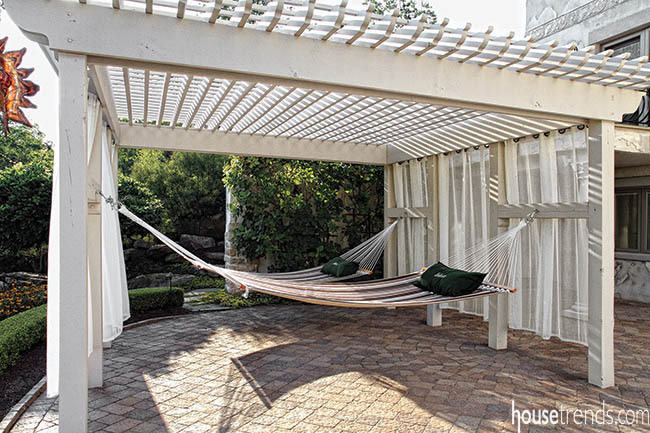 A pair of inviting hammocks offers a quiet respite under this white pergola accented with flowing outdoor window treatments. 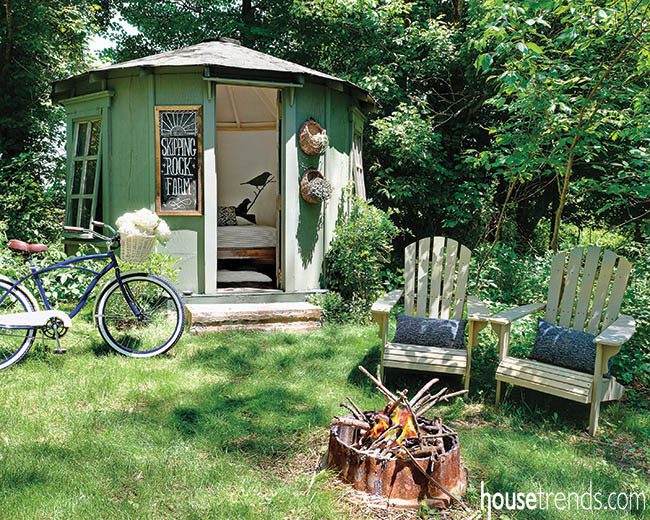 It’s hard to beat this pavilion for an inviting spot to get away from the heat. 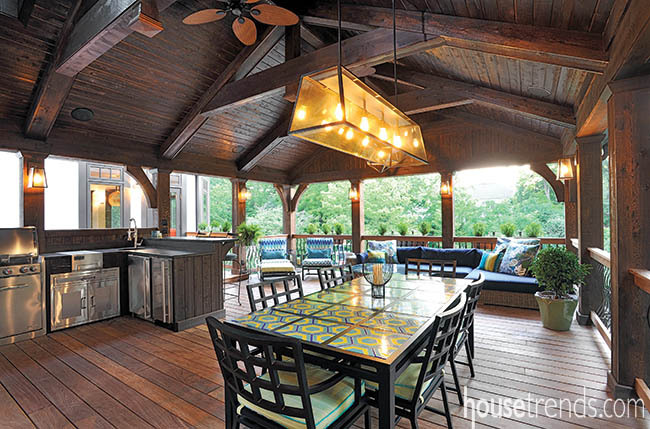 Separate from the main house, this pavilion feels like a private retreat in the woods. 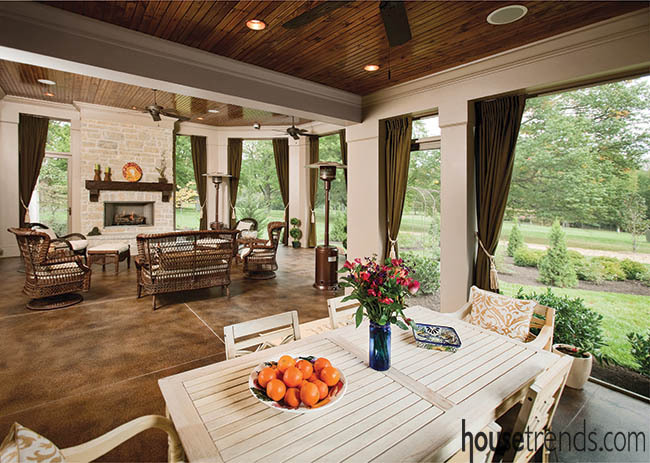 This oversized pergola was built to complement the adjoining pool house and serves as the designated outdoor dining and grilling area. The gazebo, which is adorned with elegant window treatments and comfortable furniture, overlooks the pool and surrounding landscape. 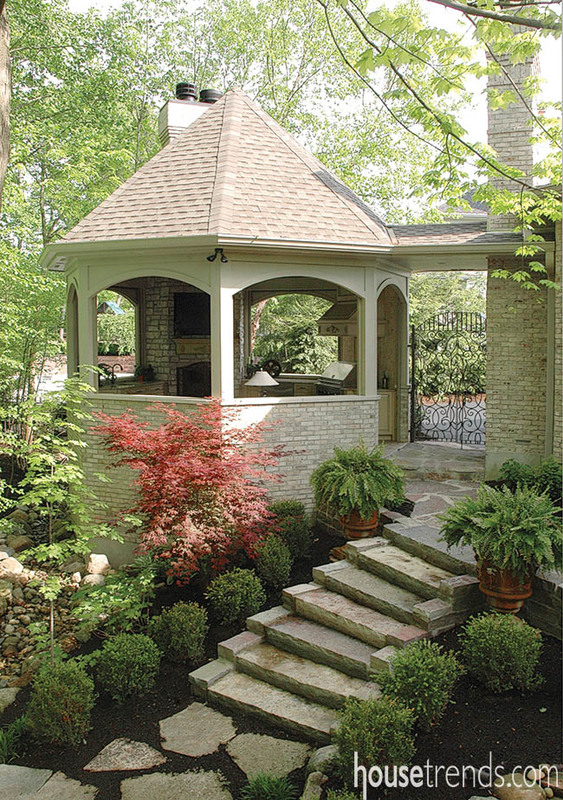 Pool, gazebo and landscaping: Rick Rafail Construction Inc. 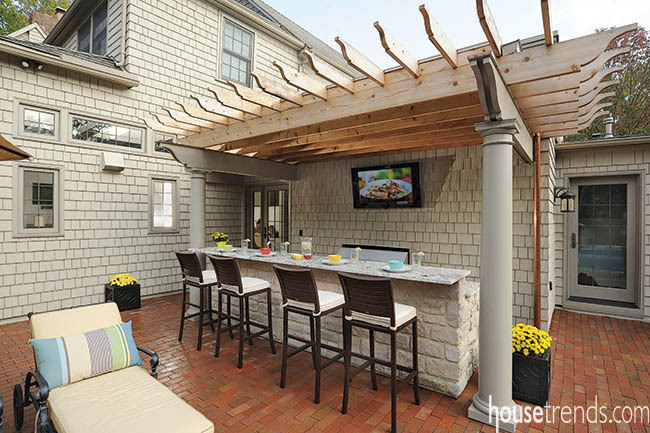 The custom-built lean-to houses an outdoor bar and features a copper roof and decorative concrete carved to look like stone. This creative pavilion is built 20-feet off the ground, featuring a Trex composite floor, Azek roof, and railings made of steel cables to allow the unobstructed views of the surrounding woods. 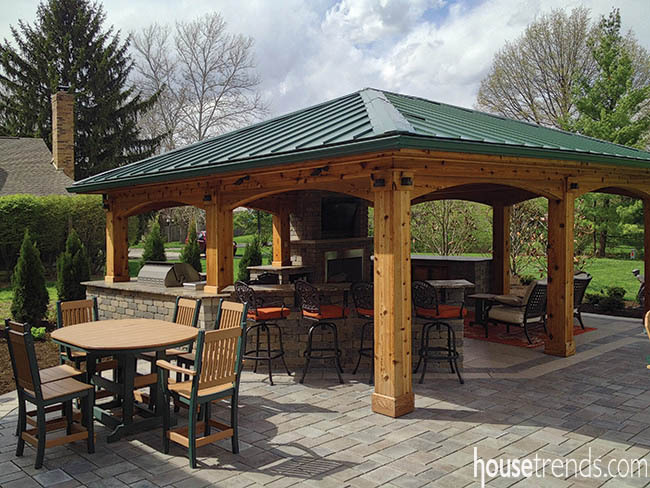 This covered pavilion was built off the back of the existing house and includes a full kitchen, outdoor fireplace and plenty of seating options. Bell says a number of building methods enhanced the beauty and value of the structure that measures about 40×20 feet. 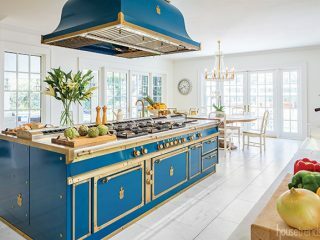 The project design called for the façade to blend in with the architecture of the house, including a clipped roof and dormers that mirror its exterior. Three-inch thick limestone caps were used for all the walls and fireplace hearth. 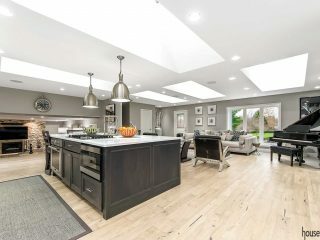 An angled roofline offers extra flair for the television area while granite countertops raise the wow factor, as do the Wolf appliances in the kitchen.